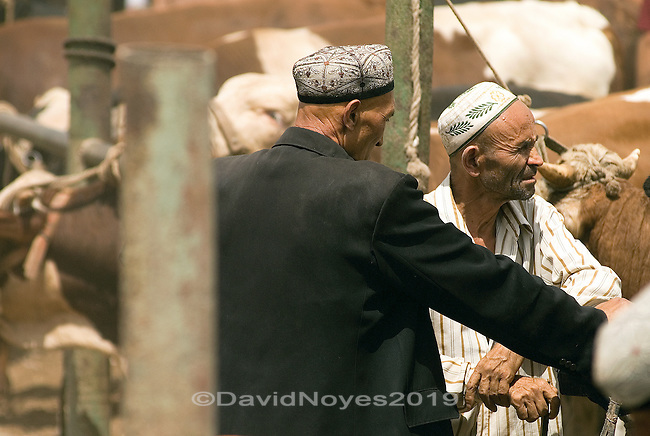 The livestock market in Kashgar feels old, like you are being transported to a different time and different place, untouched by the wave of modernity breaking over Kashgar. Tough and weathered men tend to cattle, sheep, goat, and lamb in the strong mid-day sun. Here the buying and selling of animals is an ancient art form where spirited negotiations can consume an entire day.